The Salford Red Devils have given a huge boost to rugby league in Bury by bringing the Sky Try initiative to the local High Schools. 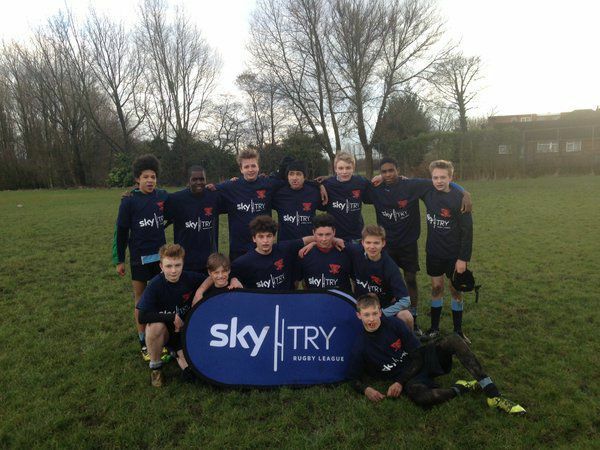 The Red Devils Foundation working alongside the Bury Broncos have seen huge success with a series of Sky Try high school festivals in Bury as well providing coaching in the schools. This has delivered the game to years 7,8 and 9 at Broadoak, Philips High School, Castlebrook High School and Prestwich Arch High School. Sky Try is an initiative designed to introduce 100,000 extra people to the game of rugby league across the country each year, and the Red Devils are at the forefront of this, bringing the sport to schools and community clubs across Salford and Greater Manchester. The work that the Red Devils does with high schools, such as these festivals is crucial to encouraging young people to take up the game in their free time, as well as developing a pathway from the community game into the Red Devils scholarship system. "The work we've been doing alongside Bury Broncos and Sky Try is really important to us. It enables us to not only develop talent from Bury, but its also gives us the chance to really develop the community game in the area"
The Salford Red Devils Foundation are committed to working with the Broncos in the Bury area, and will continue to host events on a long term basis.